Last year in the month of August, Punjab Information Technology board, under their TechHub Connect project, organized first round-table conference. The main agenda of the conference was to get the stakeholders of IT industry of Pakistan on the table and surface the issues plaguing our industry today. Today, the second installment of the same conference happened with over 120 representatives from different technology organizations in the country. Lead by Umar Saif, Chairman PITB, and Nabeel A. Qadeer, Director Entrepreneurship at PITB, the meeting was co-chaired by Jehan Ara and Syed Ahmad, President and Chairman of P@SHA respectively. The conference started with a track on how much progress has been made on the issues raised in the last round-table conference. Here is a brief highlight of the progress being made so far. The 8% tax imposed on revenues has been cut down to 2%. During today’s meeting, tax remained the center of attention and a lot of comments were made to remove the tax altogether. PITB and P@SHA both will utilize their network to promote the IT industry across the globe. This will help local IT services company acquire more projects. The conferences will continue to happen and the next installment of the same conference will happen in Islamabad. In order to accelerate the visa process, PITB will be endorsing IT organizations through recommendation letters. But, of course, it doesn’t ensure that Visa will be granted. This is something beyond the control of PITB. Mr. Sartaj Aziz, who is an advisor to the Prime Minister on Foreign Affairs, will be appointing staff to help facilitate the IT companies in their visa processes. In the light of progress made in the past few months, PITB and P@SHA are also taking a few initiatives to help IT services firms. Large tenders will be broken down into smaller tenders so that more local firms get a chance to participate and bid. The whole process will also be facilitated by vetting from P@SHA’s end. P@SHA will be giving endorsement certificates to organizations against their current standing. In the next few days, PITB will be launching a massive Digital Punjab Campaign. The campaign will not only create awareness about digital initiatives in Pakistan but will also be targeted to the US and European markets. Some of the participants recommended that the Digital Punjab campaign shouldn’t be about Punjab only and should include other provinces of Pakistan as well. Hence, the name should be changed to Digital Pakistan. A new Punjab ICT policy will be developed which will include; establishment of economic zones for IT industry, talent management and human resources development through grants, scholarships, exchanges and curriculum development, the establishment of a venture capital fund and introduction of training for freelancing and entrepreneurship. During the discussion, Syed Ahmad, Chairman P@SHA, mentioned that Pakistan’s IT industry has seen a growth of 30% to 40% in one year. This is pretty exciting time for the technology industry of Pakistan. If facilitated properly, the number is bound to increase in the upcoming years. Lastly, a platform for connecting academia and industry named as ‘Connect‘ was officially launched to help students get exposure, jobs, and connection within the IT industry. 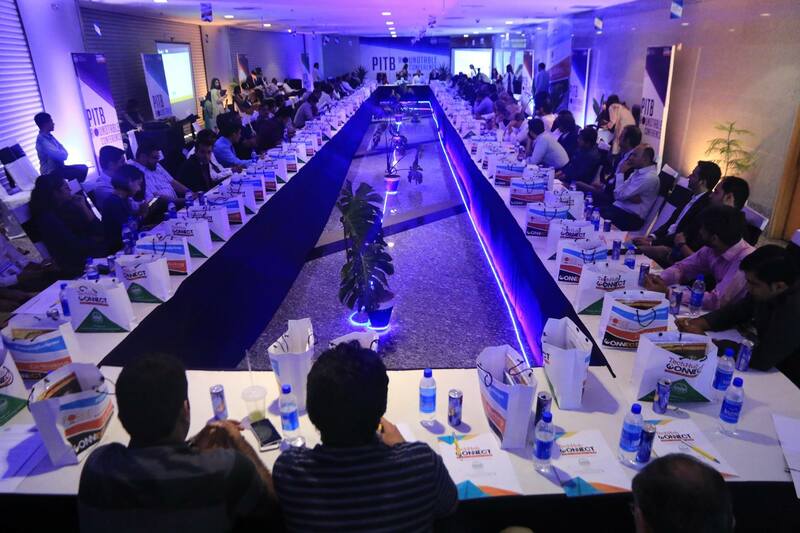 The post PITB organizes second round-table conference under TechHub Connect appeared first on TechJuice.